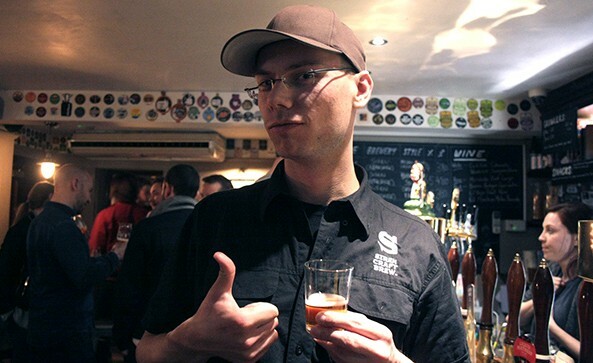 It’s nearing the end of the Siren Craft Brew Tap Takeover when I find myself shoulder to shoulder with head brewer Markus Wagner. 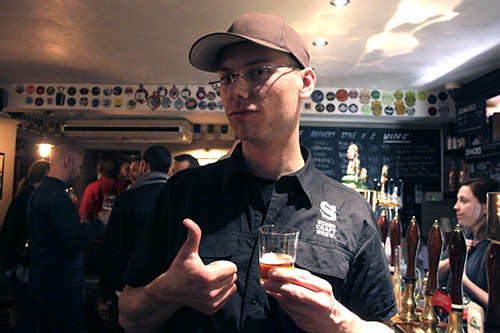 I’ve made a modest impact on the extensive selection he’s brought along (7 cask and 7 keg) and at this moment I’m gently nursing a Caribbean Chocolate Cake (8.5%), which tonight has been exclusively ‘nitro-fied’, intensifying the lactose creaminess and ascending an already wonderful beer to some astral plane, upon which only the most heavenly items known to mankind can be found. In other words, I was bloody enjoying it! 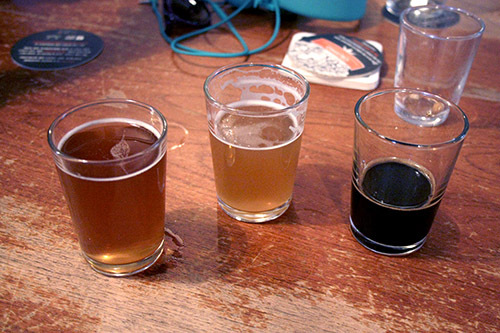 My journey to this part of the night was littered with other glories; highlights including Vanilla Weisse (a 4% vanilla-infused Beliner Weisse), which was sharp and fully rounded, with the vanilla ironing out those acerbic edges. 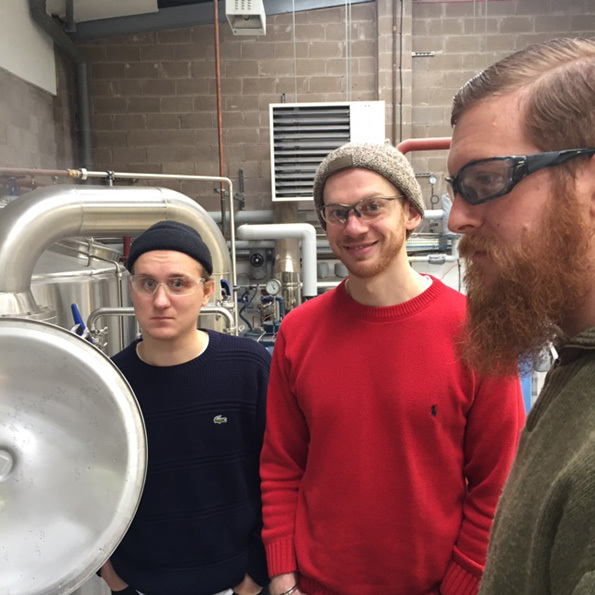 There was also the Caribbean Chocolate Orange Cake (8.5%), which took the original Triple C and made it taste like Liquid Terry’s Chocolate Orange. Needless to say it was decadent beyond belief! 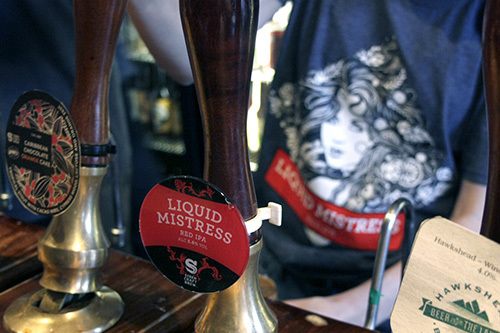 It was equally excellent to revisit Undercurrent (4.5%) an Oatmeal Pale and finally try Liquid Mistress (5.5%), a zingy Red Ale, both on cask. However a couple of pales didn’t quite reach the heady heights of their more established brethren, with Proteus (4%) lacking the hoppy punch it promised and Vermont Tea Party (a 3.6% pale with Earl Grey and lemon zest), although kinda resembling the magnificence of their other Earl Grey-infused wonder Love of Work, just wasn’t as spectacular. 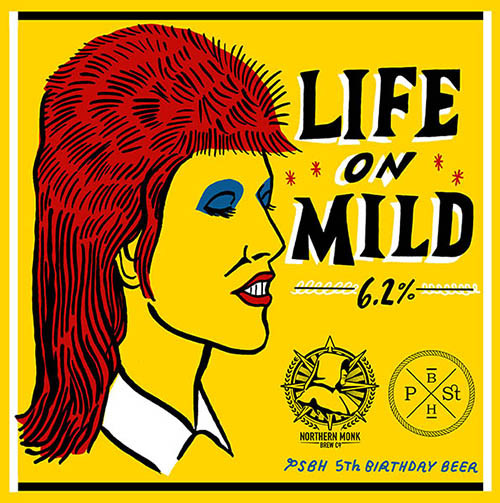 New kid on the block Peligrosos (5.6%) on the other hand was a dangerously juicy IPA, bursting with peach and magic. So we’ve come full circle and back to the exchange between myself and Mr. Wagner, where I manage to prod him about hops and the recent influx of Double and Triple IPAs. 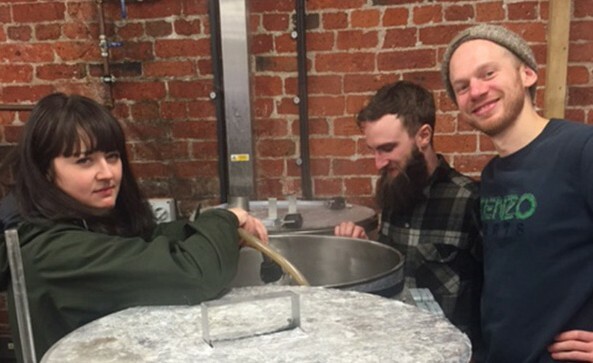 He confesses he’s no real interest in these, opting for weirder, darker delights and bizarre concoctions that hibernate in barrels before reaching the high standard he brings to the brewery – he cut his teeth as part of the barrel ageing and sour beer-ing programme at Firestone Walker don’t y’know?! And just as he reveals this information I receive a thimble of their collaboration with Mikkeller and Hill Farmstead, Whiskey Sour IPA (10.2%). A beer that effortlessly (although I’m sure loads of effort went into) showcases the best example of barrel ageing I’d ever laid my lips on. 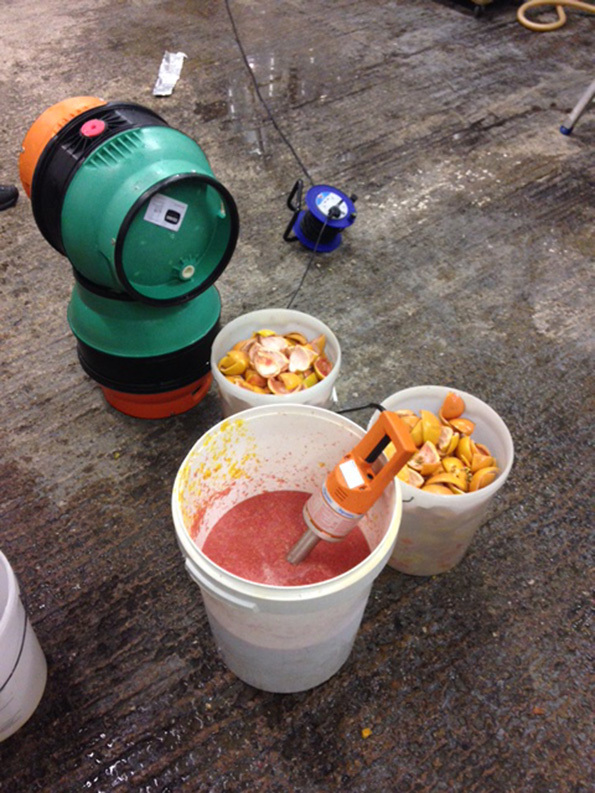 Offering a wealth of sharp citrus, delicately hushed by the sweet bourbon, both of which sing in perfect harmony. 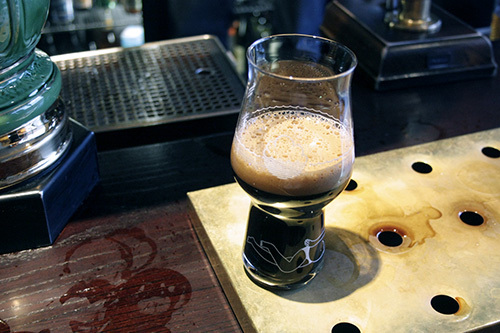 There’s also a deep, rich oakiness and soft vanilla sweetness that compliment every languorous sip. I’ve been called to the deep. And I don’t wanna go back. Remember the days before Port Street? When you’d finish work on a Friday & head straight home & just sit there staring at the wall waiting for someone to invent Netflix? Before you were invited to 9 different events every Saturday by people you haven’t spoken to in person since high school? I still remember my first trip here, long before I ever stepped foot behind the bar, when I came in on my birthday to sample some new beers! Hard to believe that was five years ago. 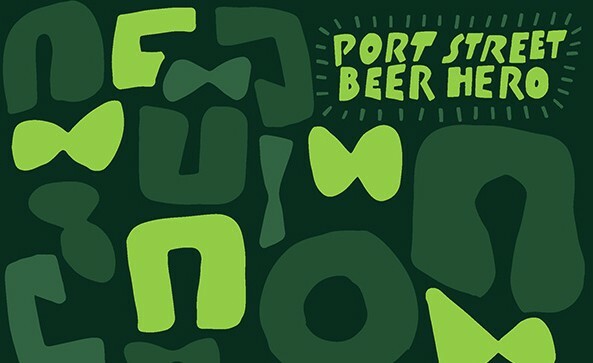 PORT STREET IS FIVE YEARS OLD! 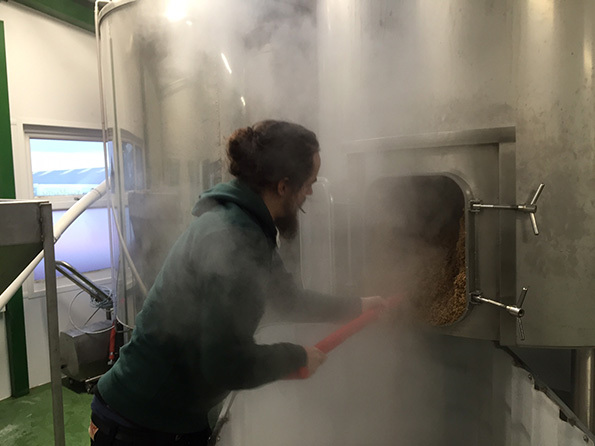 We got pretty busy in the run up to our birthday travelling around & brewing some beers for you to enjoy at our birthday celebration. 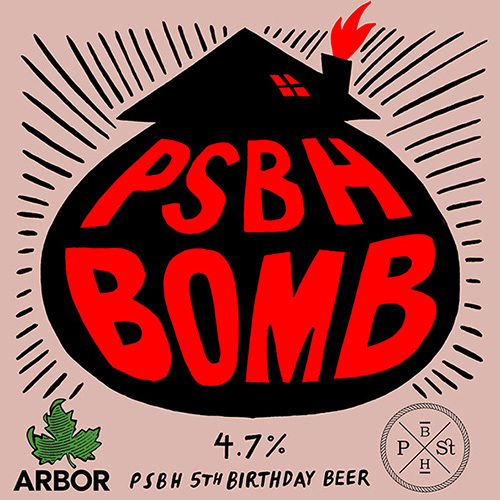 First up was Arbor where we collaborated with them to produce PSBH Bomb. Based on their brilliant Bomb series but this one’s hopped with Pacific gem, Summit, Bravo, mt Hood. 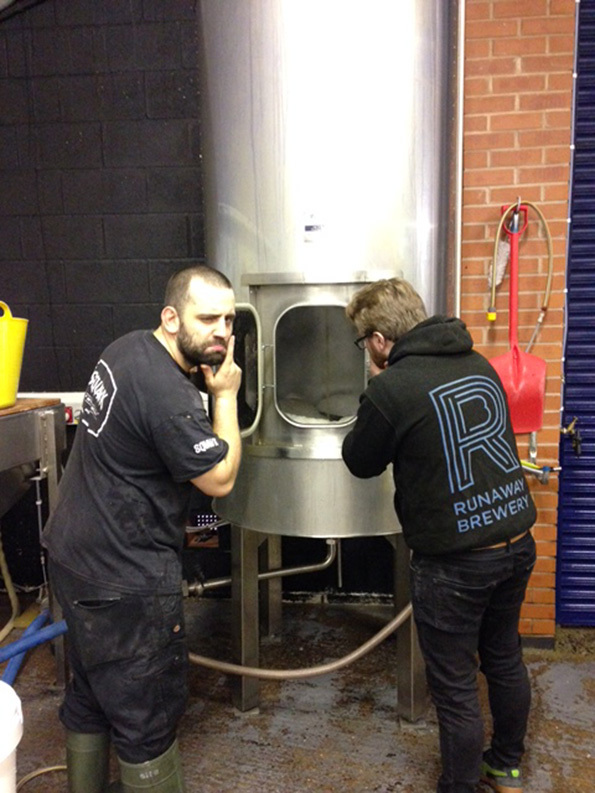 We forgot to take any photos of this brew day or we all had broken phones & no one carries a camera these days! 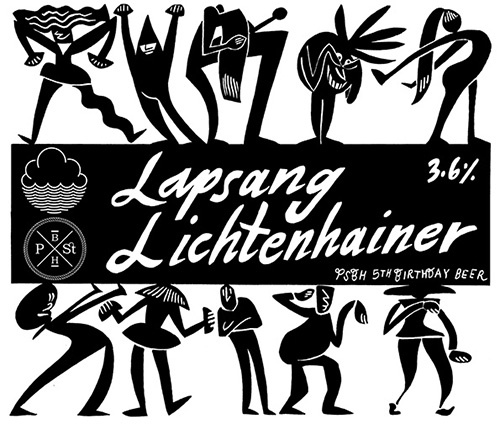 Shortly after we popped down to see Cloudwater & try some of the stuff they had in tank & brain storm some ideas which became a Lapsang Lichtenhainer. 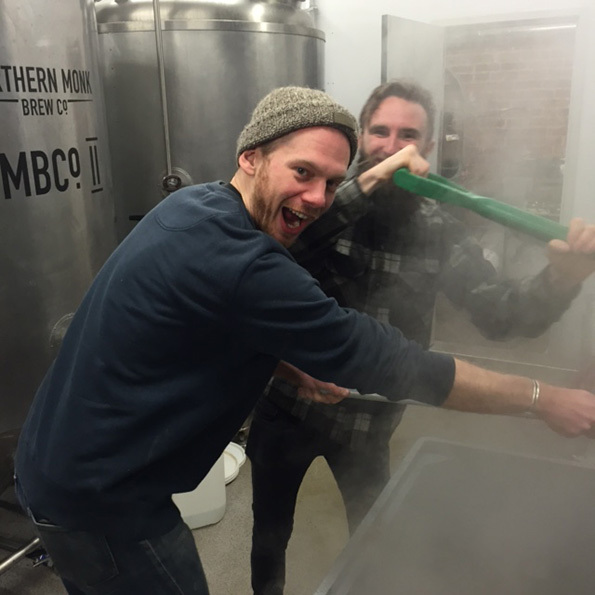 Combining our love of smoked & sour beers. 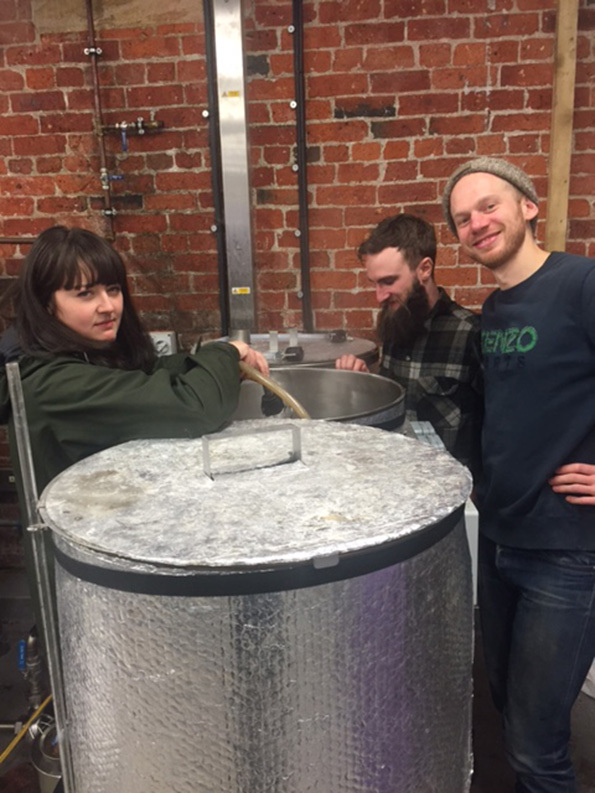 Next up was a double brew day with some of us heading over to Leeds to see Northern Monk to brew an imperial mild, Life On Mild. 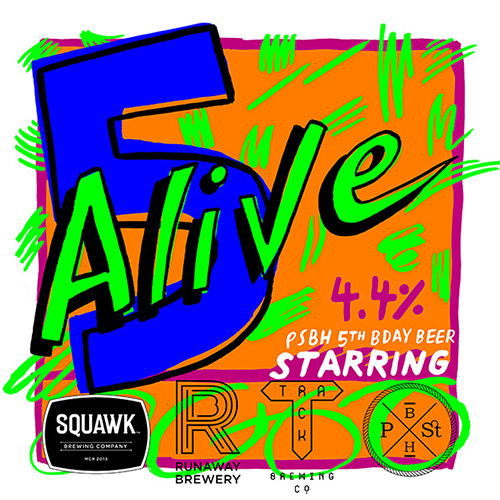 Meanwhile, Edward headed down to Squawk on his own to collaborate with Runaway, Squawk & Track on 5 Alive, a pale ale with a big citrus twist! Lastly. After a long walk up what I’m told is the longest continuous gradient in Europe! 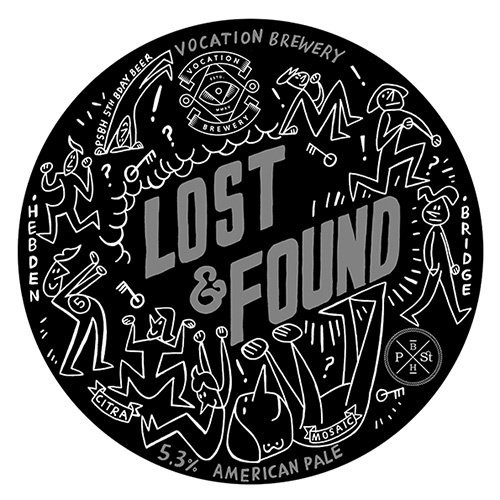 We got to see Vocation & brew a massively hopped American pale ale, Lost & Found! 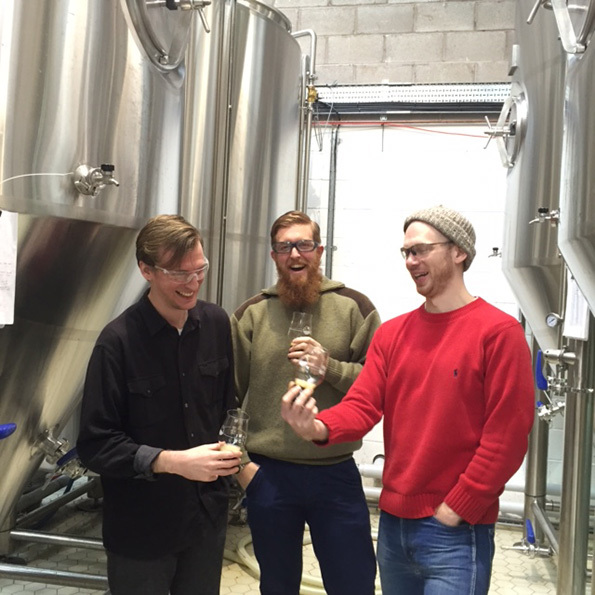 – We now do Growlers! Did you know that we now do fresh draft beer growler fills to take away? I know! 2016 just got verified! We offer up two sizes of growler: 750ml (bottle of wine) and 64oz (3.3 pints). It goes a lil something like this. 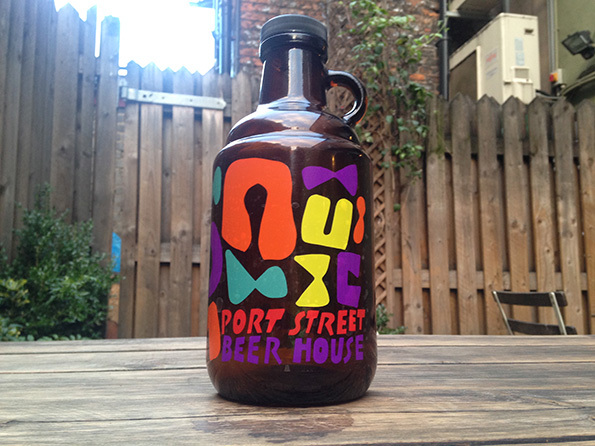 You choose your growler size and buy it outright, it’s then yours forever! 750ml = £10. 64oz = £12. The fun doesn’t stop there. Now you just need something to put in it. 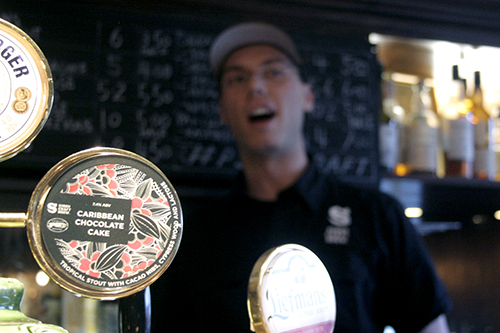 Choose any draft beer, keg or cask and receive a 20% takeout discount off the price of the beer fill. 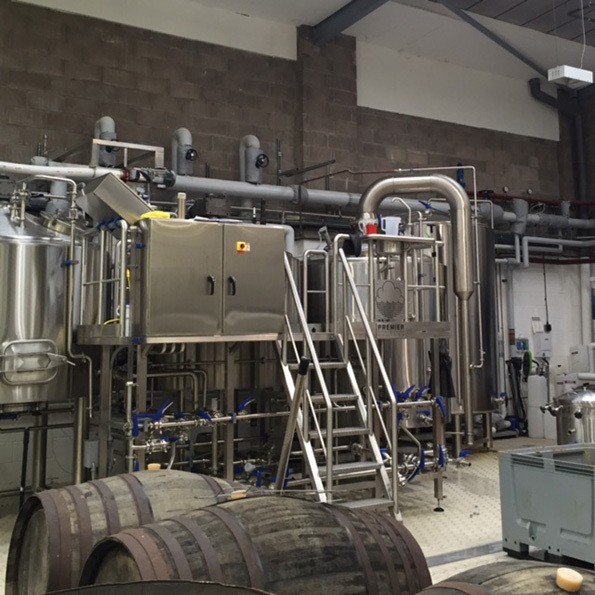 Your beer will taste at it’s fresh optimum, if unopened, for up to five days. Once opened you are advised to consume within a day for the best taste. Remember to bring your growler back next time, we will clean it and you can start all over again. 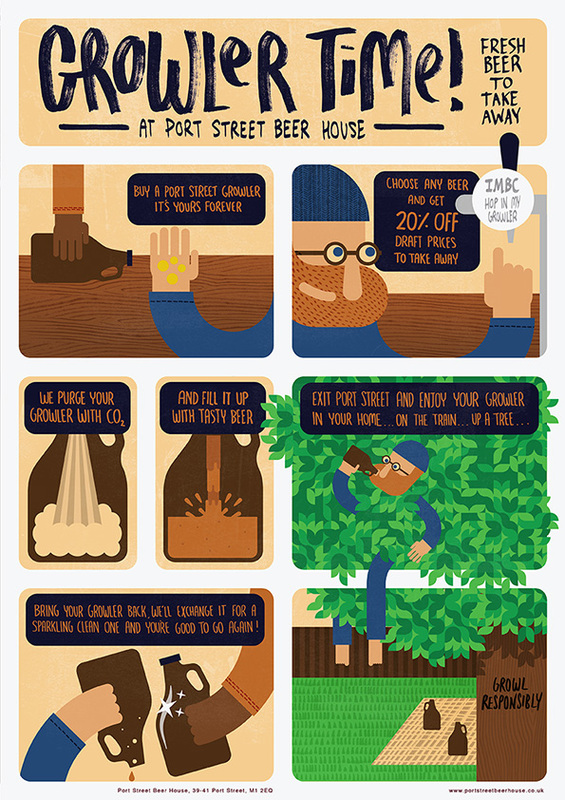 Here’s some handy illustrated instructions by Alan Dalby! Thanks Alan! 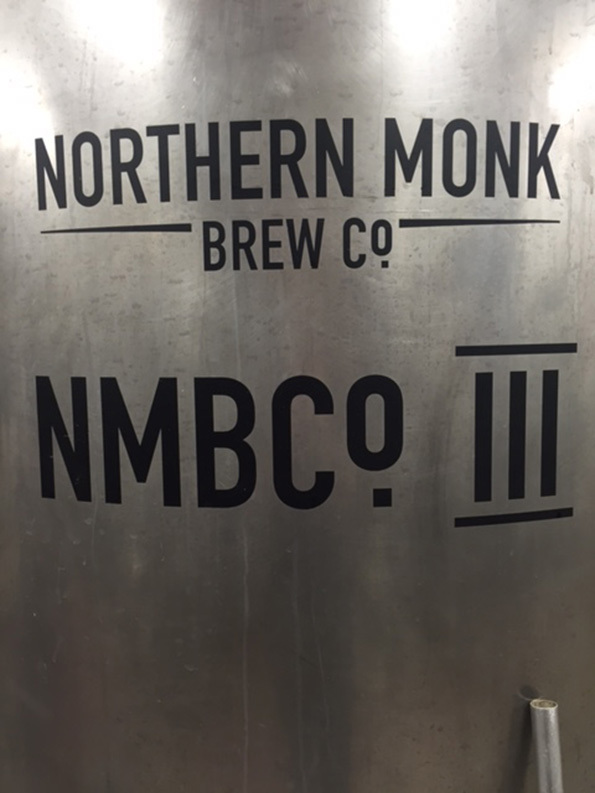 No Comments on We now do Growlers! Great news! 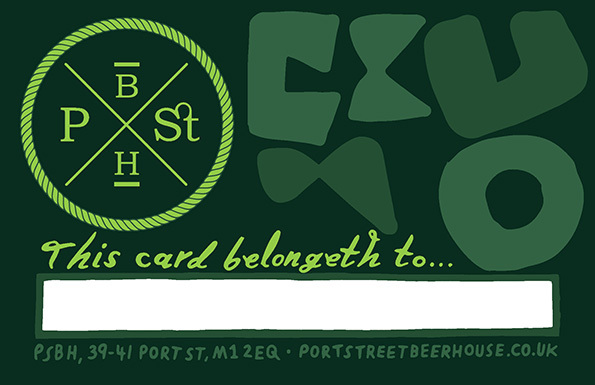 The Port Street Beer Hero membership cards have finally landed. 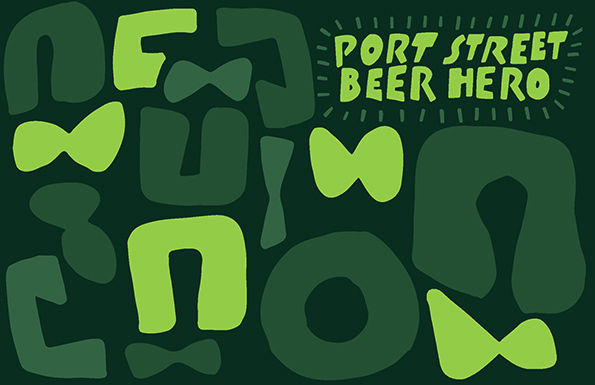 Sign up for free HERE and receive your membership card from the bar – it camouflages nicely into your wallet and enables YOU, the beerholder, to 10% off beer and 20% off takeouts. What’s not to love?